With this post I wish to share a really exciting research/development to have a Mirth Dashboard on interface administrator’s mobile device (Android device in this case). I have just relocated to Pune for a new job and was not able to post anything during this time. On my new job I am working on a mobile healthcare platform and evaluating Mirth Connect as interface engine for few of our clients. Last time I worked on Mirth was in 2008. But I feel the core of all the integration engines is same. Now comming back to this article, the idea to have a mirth client on Android is not my own but came from my manager in a casual discussion and I picked it up. 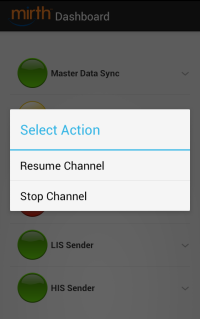 There is very less that an interface administrator could do or would prefer to do with channels (create/edit/deploy) on a mobile device but there is a lot that he can monitor and control (view statistics /start/stop/pause/resume). Let’s first explore the application then will share some technical details. The application displays the mirth connect dashboard on android device. It requires the login credentials to connect with Mirth Server and HTTP endpoint of a special mirth channel that serves as base for this application. 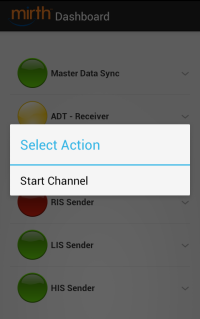 On successful connection, the application will display a dashboard with list of channels deployed. 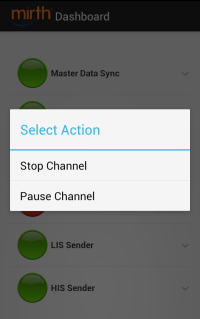 Long press any channel to display action menu. 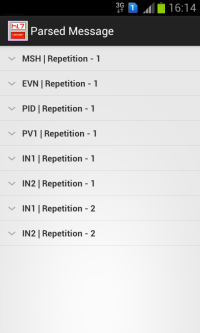 The dashboard refreshes automatically every 10 seconds (this is default interval) to sync recent data i.e. channel statistics & status. Everytime dashboard refreshes, it sends a request to our special mirth channel. A short refresh interval could impact performance of Mirth Server (I have not tested this). 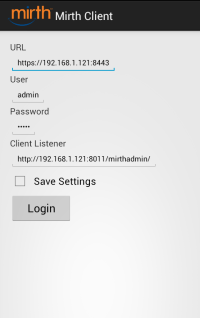 To use this application your device should be connected to same network of Mirth Server on wireless LAN. My initial idea was to just display deployed channels with statistics. I started exploring mirth database to get these details, it was not difficult. Now the problem was to get these details on android and I couldn’t find a feasible solution. There was an option to have a service to listen for requests but this would lead to a complex deployment for a simple application. After holding on the Approach-1, I started digging the mirth API and found that API provides all the functions to get the data that I wanted (deployed channels list with statistics) and much more like controlling the channels (start, stop, pause, resume, deploy, undeploy). So with the Mirth Client API, I developed a small java project in eclipse and was successful to get the channel list and to send commands to start/stop/pause/resume channels. After successful java project I tried same thing in Android Project and oops……. it didn’t work on Android. Same code, same jars that was used in java project but Android project was not able to resolve some classes of jars (ClassNotFoundException). I tried many things to resolve this with no luck. I suppose the problem was with JDK versions. Also the project becaome to heavy to load on low memory device after referencing all the mirth-client libraries. While discovering ways to use Mirth client APIs I found something which lead me to the current solution. For "fetch channel list" request it returns the list of channels, for other requests is returns status code 0 for failure, 1 for success. This is not a carefully architected and designed solution and can be improved. As I am going deeper into open source technologies I am gaining more & more interest. Continuing my research on implementing HL7 with different technologies, I have implemented a simple HL7 Viewer on Android. I started learning Android development recently after I replaced my Windows Phone with Android. I was reading android e-book (Beginning Android 4 Application Development by WEI-MENG LEE) & after first two chapters I was able to write this app. I had message parsing scripts ready from my earlier implementations using C#. It was not an issue in converting it to java. I am not sure if people would use HL7 viewer on smartphones/tables but it was a good learning experience for me & I would appreciate your suggestions on improving this as Android App. Here are few screenshots of the application. It has two Activities (two Forms for .NET guys). First Activity has a TextBox that accepts an input. You can write or paste HL7 message here. There is also a button called Parse on this Activity. 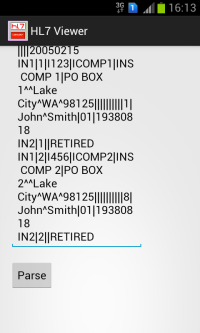 Second Activity would display the parsed HL7 message in an Expandable ListView where all the segments would be groups & fields would be list items. I have appended segment repetition count with segment names to handle repeated segments. I have used ExpandableListView code from here & modified it a bit for my use. I have tested this on Samsung Galaxy S Duos. I would love to share the apk with all who are interested in reviewing it. My first encounter with Hadoop, Bigdata, Ubuntu, Java & Python! Learing new things is a real fun. I have extended very popular WordCount example & implemented a Hadoop MapReduce job to count different Trigger Events from a file containing HL7 messages. I have also provided this MapReduce script in java & python with this article. I had some free time recently when I was recovering from a viral fever. I thought of reading some new stuff during this time. I had heard about Hadoop & Bigdata a lot but never had a chance to look into these. I searched a bit on google to find some ways to do hands on. I am a .NET developer so I tried to find out if I can use Hadoop in .NET & found that Microsoft is on the way with HDInsight on Windows Azure. But after some analysis I decided to look alternatives & found Hortonworks provides ready to use appliances for VirtualBox & VMWare. I downloaded VirtualBox appliance. After installing & configuring the appliance I figured out that my old sony vaio laptop with T6400 processor doesn't support Intel Virtualization. I then looked some other alternatives & found some posts about installing Hadoop on Ubuntu. I remember Ubuntu from my college experience. So I downloaded & installed Ubuntu 13.04 on my laptop. I didn't know what is LTS(long term support) at that time and downloaded most recent release v13.04 :) but it's working fine. I suppose LTS is same as current stable release, it is 12.04 for Ubuntu. Wow! Ubuntu installation was as simple as Windows 7. Even Hadoop 1.1.2 (current stable release) configuration was quite simple. Luckily I didn't face many problems during configuration. Finally, after some serious exercise I was ready with my single node Hadoop cluster on Ubuntu. I first ran the WordCount example available with Hadoop Setup & then implemented it by looking at source code. I was able to install Eclipse IDE on Ubuntu & run small java programs with few minor problems. Some of the things that I had to search on google were how to add CLASSPATH in Eclipse, how to create JAR files in Eclipse etc. Then I decide to extend this word count example to analyze a file with HL7 messages & count different trigger events from MSH segment (MSH_9). 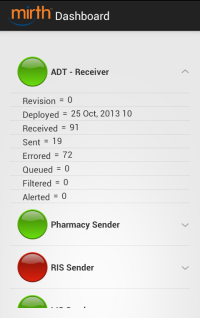 I was able to successfully run this & them implemented same for Segment count from file with HL7 messages. 13/07/08 15:57:32 WARN mapred.JobClient: Use GenericOptionsParser for parsing the arguments. Applications should implement Tool for the same. Run this command to start MapReduce job (change the file/directory locations). This one uses Hadoop Streaming. I would like to thank all who read my article on HL7 analysis with NoSQL MongoDB - 1 and provided their valuable inputs. 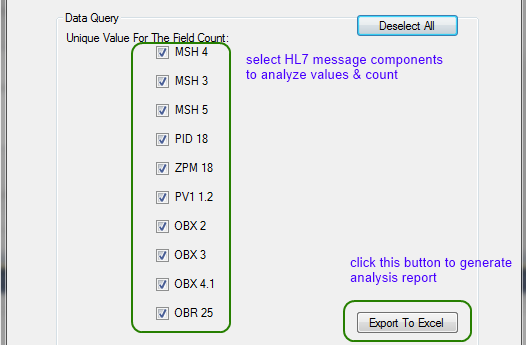 This has helped me improve the schema design & execute more queries for HL7 message analysis. Here is a snapshot of schema that I have created. I have provided some sample queries using Map Reduce & Aggregation at the end of this article. "Val": "PO BOX 1^^Lake City^WA^98125"
"Val": "PO BOX 2^^Lake City^WA^98125"
Here is the list of queries that I have executed successfully with this schema in MongoDB. 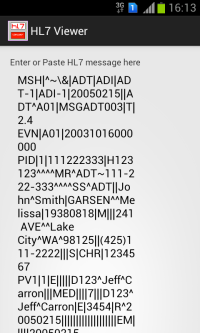 This list contains only those fields for which we have received values or HL7 null in any of the message. If the field is empty in all the messages in sample then it will not appear here in the list. I welcome any comments or criticism to help improve this. Last week I had a discussion with Terry Montgomery. He was interested in HL7 message analysis and wanted my opinion. We discussed different tools that both of us have tried. From discussion I found that he was looking for a tool which can analyze raw HL7 messages. This analysis could be used in designing HL7 interfaces. He said he wants all these with many other points. In discussion he presented couple of his ideas to analyze raw HL7 messages. One of them was using NoSQL approach with MongoDB. I am not MongoDB expert but I tried it few days earlier with one of my FHIR researches. I was somehow sure that MongoDB can be used but was hesitated with approach. I have already seen couple of discussions criticizing HL7 to Json conversion. But as a developer I decided to do something around this & used some free time over weekend. I extended my HL7 Parsing Library with couple of methods to generate BsonDocument from HL7 message. I have generated a Json from BsonDocument which looks like following. As I said I am not an expert in MongoDB and taking this as an opportunity to learn NoSQL, I have successfully written few basic queries. I am not sure how efficient these queries are but I shall improve them as I learn more about MongoDB & C# driver. I would request you to please comment the approach if this is a feasible way to analyze raw HL7 messages. I welcome any comment/criticism to help improve this. I learned a little bit of nHAPI during my last post on HL7 over HTTP and wanted to use it for a utility that I am working on. But some more research on nHAPI influenced me to develop my own small library in C#. nHAPI is a great library and I do not want to compete with it. One of the reasons I decided to write a small library is I needed very basic features like read any HL7 message, evaluate some fields, update some fields, get updated HL7 message, generate ACKs. At this time I have decided to overlook message type or trigger event specific features/validations. However it performs basic validations to ckeck message header, format of segment names, delimiters etc. This library treats every message in same manner while parsing HL7 messages. 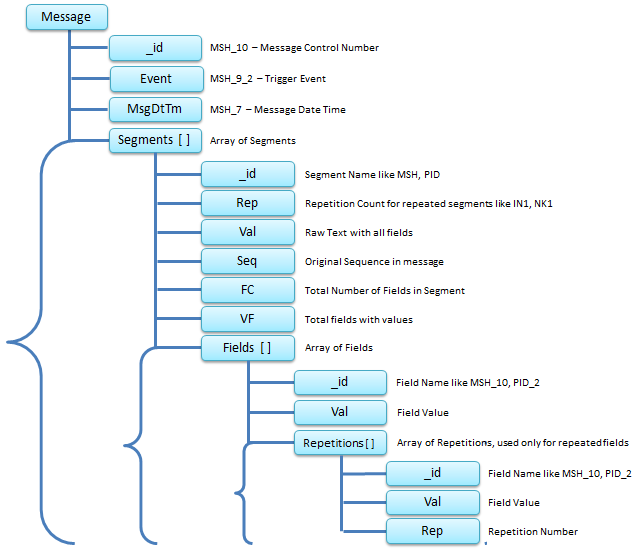 After successfull parsing it provides all the components of HL7 message like segments, fields (with repetitions), components, subcomponents in easily accessible way. I do not want to claim it as HL7 Parsing Library. But it provides some basic features and simple ways to access those features. Now let’s see some of the functions, Please note indexes are zero based, so if you access FieldList, it’s actually a fourth field. This is my small library to parse HL7 messages. I welcome any comments/criticism to help improve this. I was looking for something related to HL7 on Google & saw a link named HL7 Message Player. The name influenced me to follow the link. It is a free utility by Caristix. I am bit confused on how to start because I do not want this article to look like product review or advertisement. These are couple of reasons that attracted me to write this small article. A simple utility with interesting/innovative packaging. 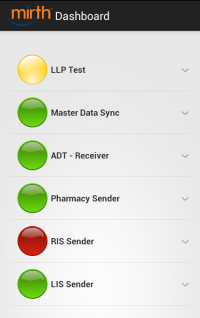 Can you imagine HL7 Message Player? 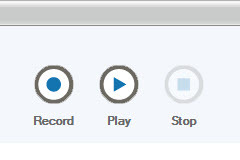 Well, the name and look of this utility are like media player but what is the role of player in HL7? This is where the curiosity starts and this curiosity made me to read about this utility. I tested this feature by sending around 60K messages in one go & it recorded all & saved in a file in 12+ minutes. http://caristix.com/products/message-player/get-started-in-5-minutes/ This link will provide you more details about utility. Many of us (interface developer/tester) would like a simple HL7 simulator & listener which sends/receives HL7 message on single click without doing much of the configurations. I do not ask you to use this utility for your needs but this utility provides some interesting way to do your routine tasks. That’s what influenced me to write this small article. HL7 Data Analysis Tool is a small utility used to analyze HL7 data, extract results based on criteria given and generate statistics report in spreadsheet format. I developed this small utility for specific purpose. We had a requirement to analyze HL7 messages in specific way. I feel this should be shared to others who might have developed similar custom solutions or are in process to develop. 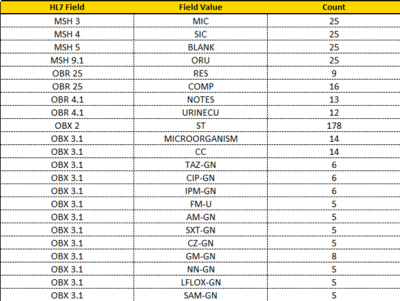 My team was using HL7 viewer application to analyze and calculate the data count of different HL7 components from messages based on a filtration criteria (e.g. filter criteria “MSH.5=3MLAB”). However, they were only able to select one category at a time and had to manually enter the totals on a spreadsheet. The same process has to be repeated for each category. This was time consuming. Data analysis tool provides a UI to the client, wherein the user can upload the HL7 file having multiple messages and then select multiple components and get complete statistical analysis of the data by generating spreadsheet on single click. 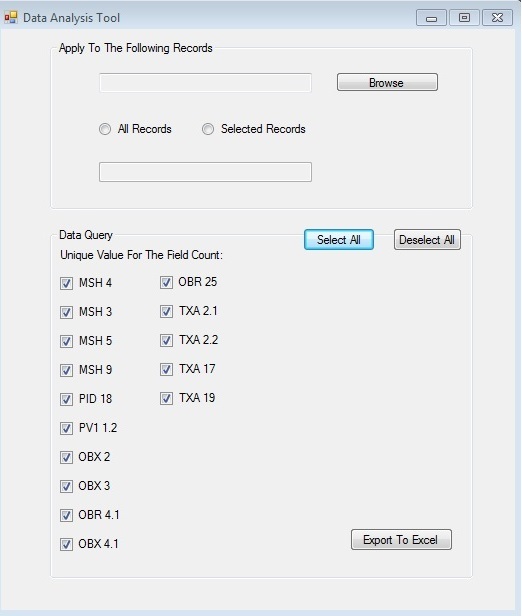 Primary feature of the Data Extraction Tool are the configurable checkbox and filter textbox. 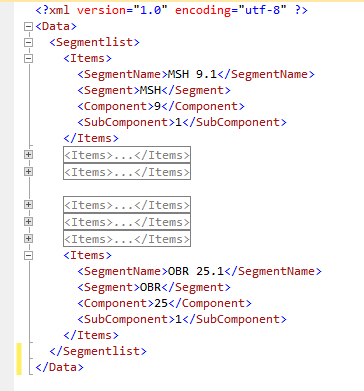 Checkboxes are loaded from an XML file where you can specify the components which require analysis. Filter textbox provides you that way to specify criteria that should be satisfied to process the message during analysis. 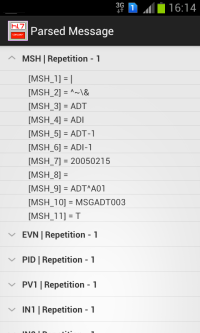 For example MSH.3=MLAB, so only messages having MLAB as sending facility will be processed. Select multiple HL7 messages from the single file. Filter criteria is generic and could be applied on any component of the HL7 message. Select multiple components from checkboxes and extract statistical analysis for each component on excel. Add multiple component checkboxes in UI by adding the simple entry in XML file. Generated output is properly formatted and exported to the excel sheet. Saves significant amount of time required in the manual analysis & recording of HL7 data. Filter criteria is generic and helps to filter message from multiple feeds. Tool is generic and we can use in multiple implementation for analysis of data. HL7 Data Analysis Tool has a feature where we can add the checkbox (Component level filter criteria) by editing Data Analysis Tool.XML. This would add the checkboxes on the Data Analysis Tool UI. Please write to me @ deepak30dec2006@gmail.com to get the source code or executable of this utility. Michael Anrake (michael.anrake@gmail.com) 21st Jun 2013 I work with HL7 regularly and found your blog to be useful and informative. If it's still available, I'd like to download your HL7 analysis tool - it looks to be useful for several projects. Frederic BUISSON (fredericbuisson@hotmail.com) 6th Jun 2013 I was very interested by this tool and try to undertsand how it works and practice a little to help me to supervise my HL7 connexion. Huw Jones (Huw.Jones6@wales.nhs.uk) 4th Jun 2013 Am interested in your data analysis tool to process data segments in pathology messages to analyse their content within healthcare here in Wales. Hans Monnig (hans_monnig@yahoo.com) 31st May 2013 I would like to review it. Moses Rosario (moses.j.rosario@gmail.com) 4th May 2013 I recently viewed your tool for analyzing HL7 files and am very interested in using it. The current method I have is a homegrown spreadsheet app that accomplishes a few of the things you have done in your application. Guillermo Zeller (gzeller@gmail.com) 25th Apr 2013 I saw your HL7 tool and I am very intersted in that. I am working in a Health Care project, and we need some tool to extract estadistics from the messages. Now a days, we are using excel files... but is not really productive.